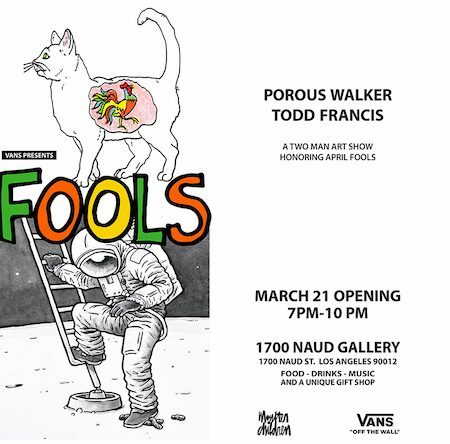 Monster Children (another surviving print magazine) and a blue-collar beer company invite you to FOOLS, a two man show by Porous Walker and Todd Francis featuring the artists’ mutual love of irreverence, bad situations, and bodily functions. Shown will be all new works never before seen by mankind, as well as a large collection of unique, signed and numbered products designed as gifts for the April Fools in your life. FOOLS launches with a March 21, 2019 opening at 1700 Naud, an evening that will be filled with music, food, laughter, and lamentation. 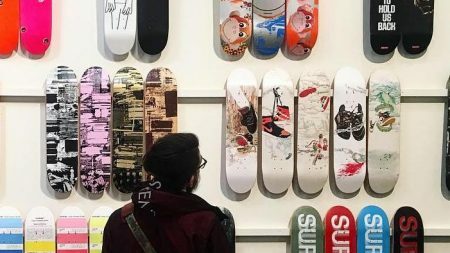 It run until March 28th and is in partnership with Vans. For more details and to RSVP please click this link. 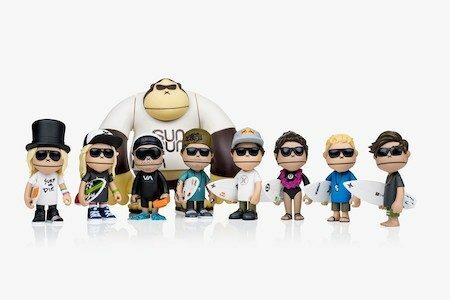 Ten years ago, Sun Bum (the sunscreen company) released a vinyl toy version of their ape mascot Sonny. 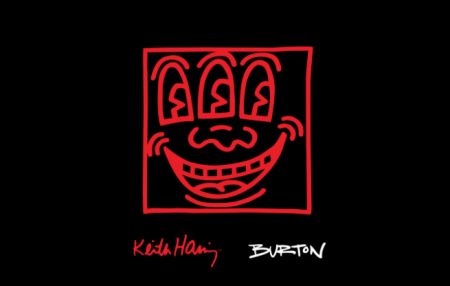 And now, to celebrate that moment they’re releasing a limited edition of five inch vinyl collectables featuring their surf athletes Julian Wilson, Filipe Toledo, Zak Noyle, Malia Manuel, Barron Mamiya, Bede Durbidge, Kyuss King, and Rasmus King. We didn’t know this until we read the Hypebeast interview, but surf photog Zak Noyle is the one responsible for the figurine in the first place. According to Hypebeast, the “vinyl toys will be available in surf shops as a limited-time only gift-with-purchase (GWP) for any Sun Bum purchase of $30 USD or more.” So snap ’em up if you need a couple for your desk at work. Skateboarding’s favorite musician Mark Motherbaugh is writing the music and Kyle Jarrow (of Spongebob Squarepants musical fame) will write “the book.” Tony will reportedly create some “skate choreography” for the project and we’ll all be humming along when it comes out. Tim Cook, the man running what is often the world’s most valuable company (Apple, duh!) 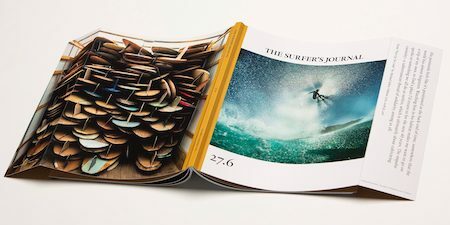 sent out a photo via Twitter from The Surfer’s Journal because the cover was shot on an iPhone by Zak Noyle. The point here being, all you need is a brand new iPhone and you too can shoot photos like this. Seriously, you’re only $1,100 away from a cover shot right now. Get on it. Happy Holidays.